Disclosure: This post contains affiliate links. Daily Dog Tag only promotes products that we use and love. Disclaimer: I am not a dog nutritionist, this recipe is intended as a special treat. If you are concerned about potential allergies or health concerns, please don’t take a chance with your dog’s health. All of my life, I’ve heard people say that dogs dream about chasing rabbits, but I’m pretty sure my dogs dream about peanut butter. Peanut blossoms are my favorite cookie, so I decided to make a version for dogs. These are soft cookies. I think older dogs would especially appreciate the soft texture. Thanks to my sister, Alice G Patterson Photography, for the photos! Chocolate is toxic to dogs, but carob isn’t. However, since so many people just look at a photo without reading the directions, I didn’t want to use carob, for fear people would mistake it for chocolate. Instead, I topped off my dog’s peanut butter dreams with the cutest grain-free treat. Vegan recipe for soft peanut butter cookies for dogs. Mix coconut oil and peanut butter. Stir in applesauce and water. The dough should not be crumbly. Add more water if needed. This recipe is intended for a special treat. It is high in calories and oil. If your dog is very sensitive to fats or oils, please opt for a different treat. I’ve also joined The Santa Paws Howliday Cookie Exchange hosted by the Everyday Dog Mom. 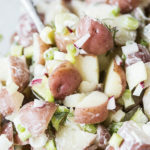 Check out these great recipes for pets! 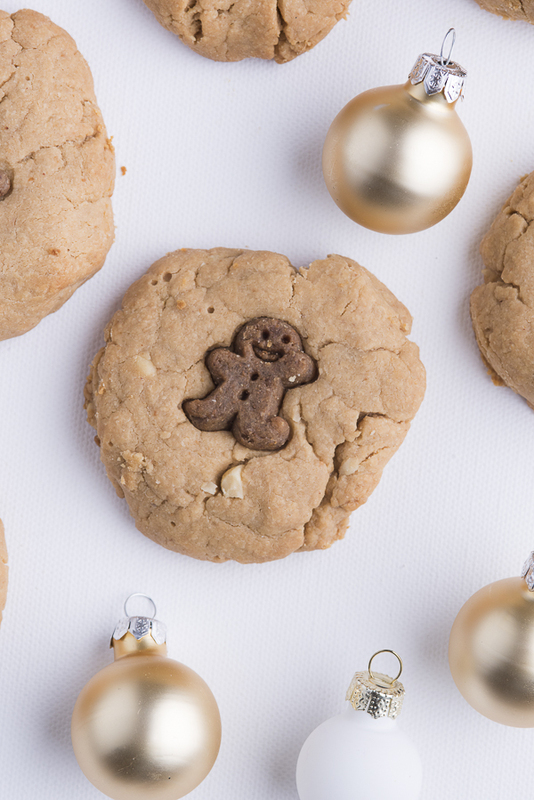 What is your (or your pet’s) favorite cookie? About Alice G Patterson Photography: Based in Syracuse, New York, Alice specializes in editorial photography, senior portraits, and dog photography. She is passionate about helping small businesses. Thank you, and thanks for hosting this! What a great idea to use the treat on top. Looks adorable. But do you find you need to keep humans from trying them? I’m okay with my husband and kids eating them if they want! I did have to make a batch of cookies for my family after I made these because it isn’t fair to just bake for the dogs. Aw, I love that you created a treat for dogs! I think my dog would love this – she’s a fan of peanut butter too. lol Thanks for sharing!! These are so cute! I love the treat in the middle. These are so cute!!! We definitely can’t leave out our furry friends. These are adorable! My dog would love them! These are just the cutest! I love that you’re letting the pups join in on the holiday cookie fun. One time when my siblings and I were kids, our parents tricked us into eating cookies made for dogs. They looked like genuine frosted sugar cookies so we definitely fell for it! That’s pretty funny even though it is a little mean. AW, I love this!! Furry friends need Christmas treats too!! Aww this is so sweet. I can’t wait to make these for my doggos! lol these actually sound so good I want to eat them! Definitely going to make these for my future pup! What a fun treat for your dog! These are so cute! My dog is obsessed with peanut butter also so I’ll have to try these out! Ohmigoodness, these are SO ADORABLE! I love it. These look delicious, Beth! I’m sure every dog would line up for these lovely treats. 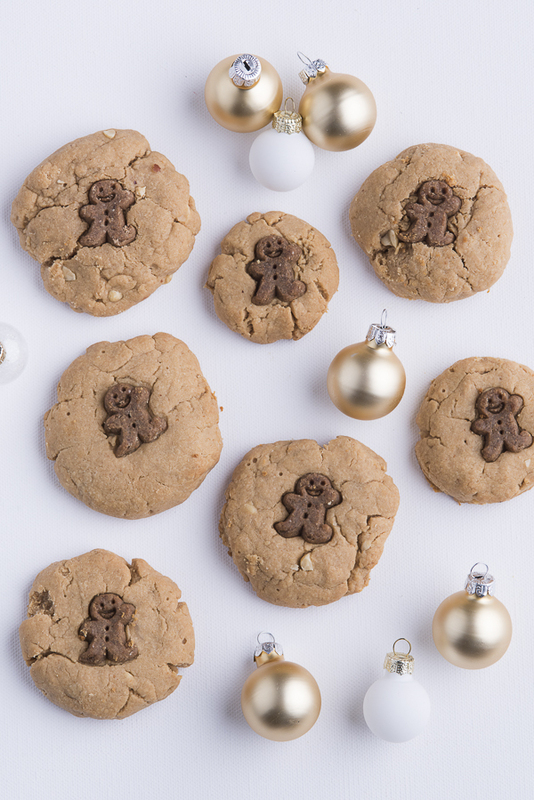 The little gingerbread man on top brings dog treats to a whole new level. Super cute!